I have been working on a book about The Hurricanes for a while now. My publishers will not release the book until 2020 as I have other works that they want first, so I have decided to release it on Kindle format as people have requested to read it. The book will be released in Kindle on 27th September. It can be read on any device, phone, IPad, laptop etc, Links will follow. It tells the stories of the boys from birth to band days, with details of what they did when the music ended. Filled with input from band members, their family and friends, as well as a number of Merseybeat people. Contains some very funny stories as well as the emotive tragic moments. Sadly, Fun and Tragedy go together for these boys. I thank Walter Eymond (Lou Walters) who put aside his no interviews rule to help with the book and to put straight a number of the stories that have appeared in many books over the years. Also Iris Caldwell who has also provided huge input along with Jimmy Tushingham, Jamo Jamieson, Ted Taylor and Sam Leach, plus many others. over 140 photographs are included, many unseen before in public. The book is not just about Rory, it tells the story of all the guys in the band, and that is what I wanted to achieve for these lads, they really do deserve it. It may be out in book form in the near future. Talking with publishers again. Amazon have released the book a day early. If anyone is considering buying it then please be aware of the following. Due to the number of photographs (over 140) the book may produce small gaps in the text between photos on your reader. Not many, and it should not be a problem. I am in talks with my publishers about bringing it out in book form. A book would have less photographs in it. I am still unsure if I will be going with the book form, but wanted to let people know in case they want to wait and to make sure everybody knows what is what before they buy. The link below will take you to the Amazon page where the book can be purchased. It can be read on any device, Computer, Laptop, Kindle, Ipad, Tablet, Phones etc. The Amazon page where you buy the book will also have a link to a free Kindle reading App for your device. 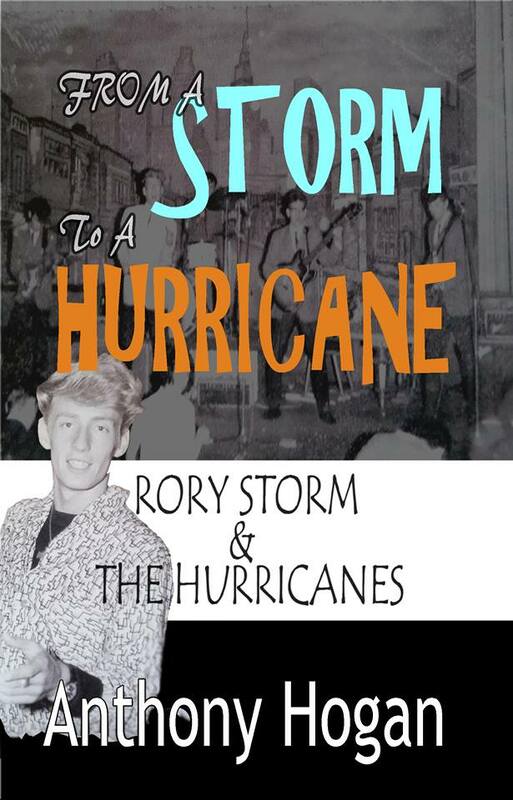 From fun to sorrow, the story of Rory Storm and The Hurricanes. Follow the career and lives of the guys who were one of the biggest bands during the Merseybeat era. See them as the individuals that they were. Mixing and playing alongside the top performers, friends and rivals of The Beatles. From the Cavern to the Kaiserkeller The Hurricanes were there in the thick off it all. Their story is always rocking, often funny, yet full of heartbreak. Over 140 photographs are included, many unseen before in public. Former band members, their families, and their friends, have provided input to bring their story to life. Enjoy their adventure, laugh at their often crazy antics, and be prepared for the emotional moments. Rory Storm and The Hurricanes, The boys who dreamed the dream. It has been very moving to research these guys. I hope you like the book and I hope I have done them proud. If you buy it then would you consider giving it a customer review on Amazon please. If you are in the USA this link may be better. I meet with Publishers next week, so it may go to print? I look forward to reading it and I like the title. Brilliant! The book has been put in an offer period. Andy, that's just wonderful. I will certainly get a copy of that book! The book is to be released as a paperback on 15 June. Pre orders have been good. Just glad people are interested in what is an important story.